When you hear the name Bordeaux, most people think of wine or vineyards… St. Emilion, Cabernet Sauvignon, Merlot, Malbec…enough to make you reach for a stemmed glass and a chunk of cheese. 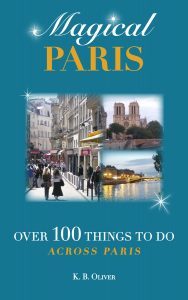 But you might be amazed to know other outstanding features of this southwestern city and region of France. 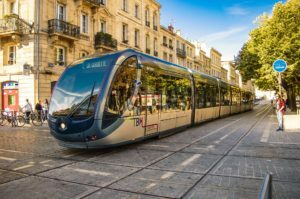 Bordeaux is the fifth largest city in France, but it is often thought of as “little Paris.” Think of the typical architecture of Paris for a moment…wide avenues, regal stone buildings with wrought iron balconies. This design was the work of Baron Haussmann, who renovated Paris in the 19th century on the orders of Napoleon III. He had already done the same face lift in Bordeaux while he was the prefect there. Bordeaux sits at the tip of a clef in the land created by the Gironde Estuary, which branches off into two rivers, the Garonne to the west and the Dordogne to the east. The city isn’t right on the Atlantic, but a mere 30 or so miles away. There are many smaller towns and resorts along the coast. (Read further for some of those.) 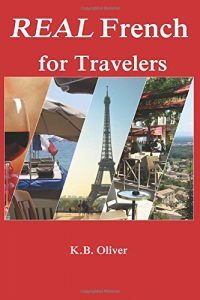 You could combine a city/beach/vineyard trip without having to travel too far between them. There are about a million people living in the metropolitan area around Bordeaux, though only about a quarter of a million in the city itself. There are 300 historic monuments, second in France only to Paris. It also has the largest university population in the country, which adds energy and youth amidst an impressive history. 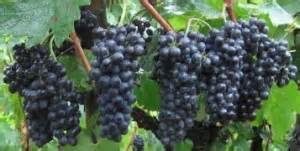 Wine has been produced continuously in this region since the first century. Both red and white wines are made there. A center of wine appreciation and education, Le Cite du Vin, opened in 2016. It has seminars, movies, exhibits, and a museum. First settled by Celtic tribes then later occupied by Romans, the city was further sacked and attacked repeatedly by Vandals, Visigoths, and Franks and underwent various other struggles for about 500 years. It was even ruled by the English for a while. Finally things settled down after the 12th century, and it became part of France in 1453. Wherever you go in Bordeaux, watch for Art Deco doorways and façades. These are free works of art from the 19th century that you can admire all over the city. Porte Caihau : 15th century door to Old Bordeaux. Musée de Beaux Arts at 20 Cours d’Albret is one of the largest art galleries in France outside of Paris. Musée D’Aquitaine, 20, Cours Pasteur. Gallo-roman statues over 20,000 years old; open Tuesday to Sunday 11-6. Admission free for permanent exhibits. Climb the tower of St. Michel (church) for a panoramic view of the city. Musée du Vin et du Négoce, 41 rue Borie The history of wine trade. Open 10-6. Admission 5-7 euros. Restaurants are found in abundance on the Rue de Saint Rémi. La Victoire: a section of town with many monuments, restaurants, and student life. St. Michel Flea Market: on Sunday near the Gothic Basilica St. Michel. Wine Tours: you can book an all-inclusive wine tour if you want. Or you can do your own planning in Bordeaux or nearby in one of the villages or towns or seaside resorts. Visit a Tourist Bureau and ask about tours you can join in on or reserve one in advance. Getting There: There are 2 airports in Bordeaux, and the TGV high speed train will get you from Paris in about 3 hours. If you aren’t a fan of the city and prefer a smaller base of operations, there are several towns that aren’t far away, and you can still tour vineyards to your heart’s content. Arcachon. This is a popular resort within 30 miles or so south-west of Bordeaux. It’s the home of France’s largest sand dune. In addition there is the beach, the marina, and belle epoche-style buildings. It sits on the Arcachon Bay, as well as being near the ocean. Blaye is a town also about 30 miles to the north on the riverfront. The restored citadel sits on the banks of the Gironde estuary. In fact there are three medieval fortresses to see. Cote de Blaye wines are produced here. Each spring the Printemps des Vins celebration occurs. On Wednesdays and Saturdays you have the open markets. Cap Ferret lies at the most southerly tip of the Lege-Cap-Ferret peninsula, almost due-west of Bordeaux on the Atlantic. Celebrities and other rich folks come here to sun and to live. There’s a lighthouse and beaches on the Lege-Cap-Ferret peninsula. Carcans is a family resort with lots of outdoor activities (tennis, climbing, walking, sailing, cycling) as well as the old town (Carcan Bourg.) There’s a nature reserve nearby. Castillon-la-Bataille is an ancient walled town east of Bordeaux, on the river Dordogne. The final battle of Hundred Years War took place here in 1453. It’s about 20 miles southeast of the town of St. Emilion with many vineyards all along the way. 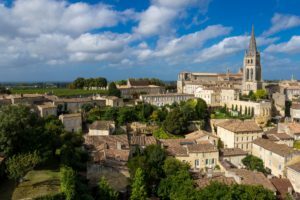 St. Emilion is the name of a favorite red wine, but the town is also worth experiencing. After your tours of surrounding vineyards, go see the ramparts of the Old Town and what is known as one of France’s prettiest villages. (Also a UNESCO world heritage site.) Shops, bistros, alleyways, views. Hourtin. … Small town and seaside resort north of Carcans. The Hourtin Plage is small and quaint, but the town itself is inland a few miles…not many, you can even bike between one and the other. A larger beach towns nearby is Lacanau. Here are some larger towns in the same region: To the North, the town of Cognac is about 50 miles north. Bergerac about 50 miles to the east. Limoges (home of the famous porcelain) is northeast. Popular beach town of Royon is north, and further up from there is LaRochelle. There’s plenty to do in this southwest corner of France!